Louis van Gaal, one of the game's greatest coaches, was criticized before the World Cup for being too defensive for a nation that loves attacking play. His decision to field five defenders against Spain though, proved a masterstroke. 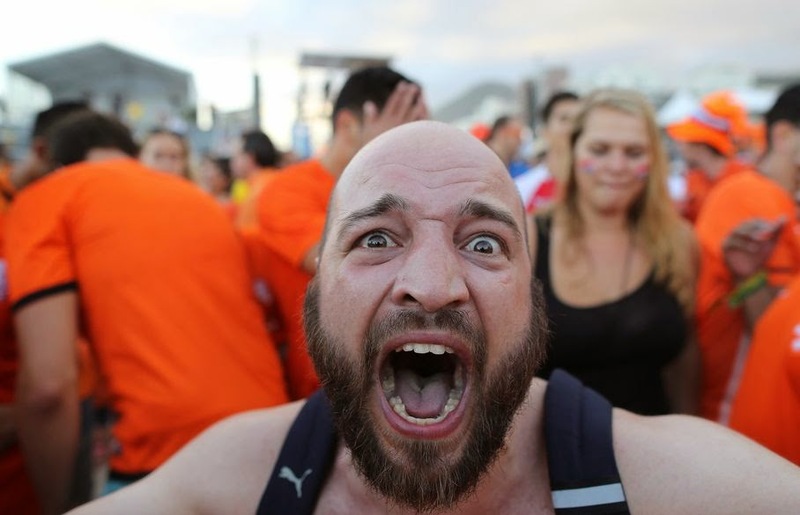 His team thrashed the defending world champions 5-1 Friday with a clinical display of counterattacking football that had Spain chasing shadows at the end as Dutch fans roared "Ole!" each time their team passed the ball. "If you see how he prepared us, and how he predicted the game would go, and you see how it went - unbelievable," said Robin van Persie whose stunning header to equalize just before half time turned the tide of the match and lit up social media accounts around the world. "It went exactly as the entire technical staff predicted." It was Spain's worst loss in the tournament since a 6-1 defeat to Brazil in 1950. In the day's other matches, Chile beat Australia 3-1, leaving Spain at the bottom of Group B. In Group A, Mexico edged Cameroon 1-0 on a 61st-minute goal by Oribe Peralta to take second spot behind Brazil. 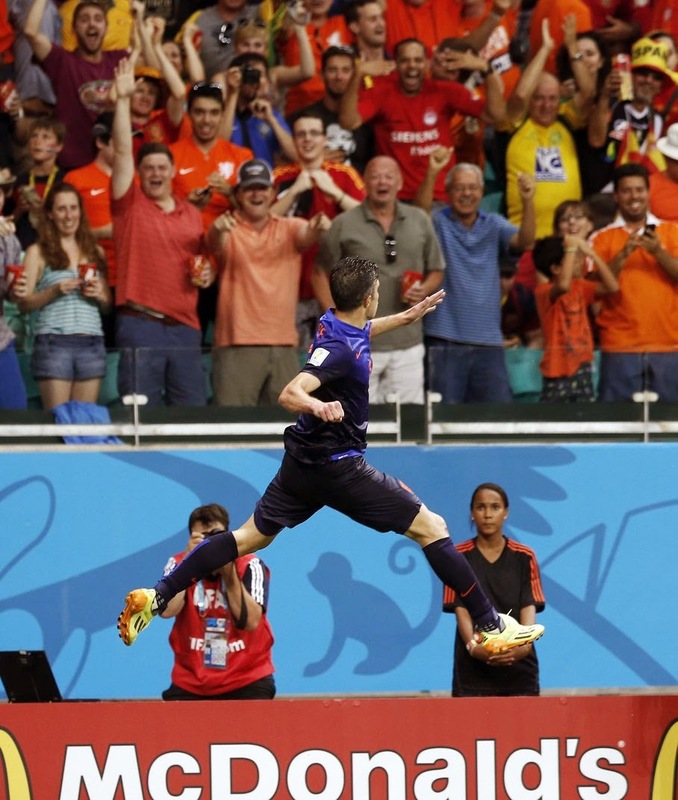 But it was the Dutch performance that shocked even casual fans on the second day of World Cup, showing why Manchester United was so keen to sign Van Gaal to rebuild the storied club. He starts work at Old Trafford when the Netherlands leave Brazil. If they keep playing this way, he could keep Manchester fans waiting until mid-July. The 62-year-old Dutchman has a history of getting the best out of teams and blending youth with experience, taking Ajax to the Champions League title in 1995. He is bidding to make the Netherlands world champions for the first time after losing three finals - including four years ago when Andres Iniesta's extra-time goal won it for Spain. It wasn't shocking for the Dutch to get revenge for that loss, but the way they demolished Spain - the dominant world football power since 2008 - sent a signal that the run of this generation of Spanish stars may be coming to an end. Spain, which won the last two European Championships and the 2010 World Cup, will probably have to beat Chile and Australia to qualify for the next round, where a likely date with favorite Brazil awaits. "They were better than us in the second half, you have to recognize that," Spain coach Vicente Del Bosque said. "It's a delicate moment for us. We need to find solutions now." Spain showed flashes of its slick-passing, ball-control, "tiki-taka" style, but never recovered from Van Persie's masterful goal. "The equalizer was very crucial at that point," Netherlands midfielder Jonathan de Guzman said. "I think we took advantage of that." In the second half, Spain's usually rock solid defense crumbled in the face of wave after wave of Dutch attacks, many starting off of long passes from defenders. 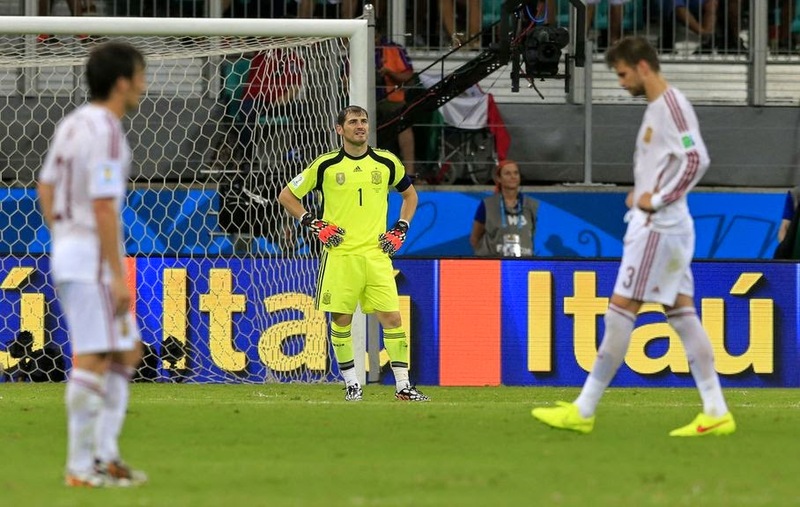 Veteran goalie Iker Casillas shouldered the blame. "It wasn't one of my best games, I wasn't at the level I needed to be," he said. "I have to accept all criticism." 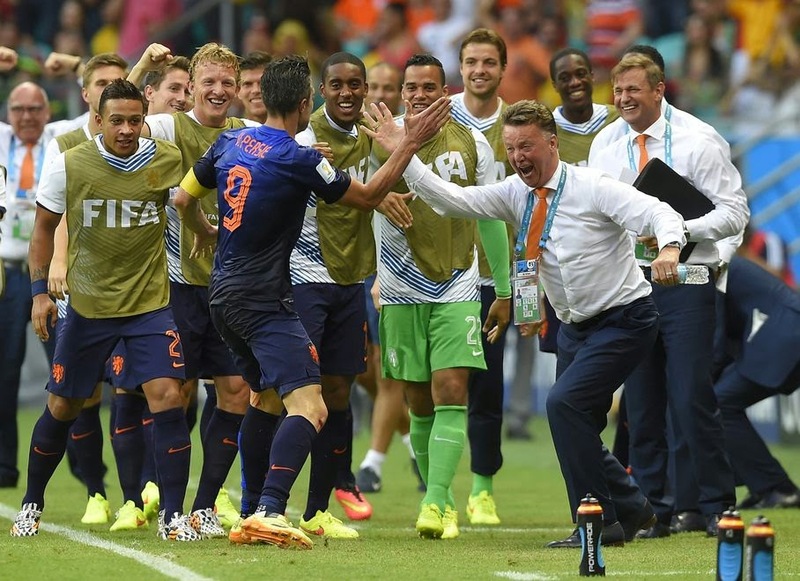 Van Gaal always insisted his five-man defense wasn't as negative as it sounded, and he was proved right. Left back Daley Blind surged forward to provide two pin-point accurate passes for assists - Van Persie's header and Arjen Robben's first goal. Center back Stefan de Vrij, who caused the penalty that gave Spain the lead, cropped up at the other end of the pitch to push in Wesley Sneijder's free kick for de Vrij's first international score. Even Van Gaal was stunned by the margin of victory. "To be quite honest, we did not expect it," he said. "This has got to do with strategy and the dedication of the players to execute with conviction." Fitness also appeared to play a role in Spain's second-half collapse. 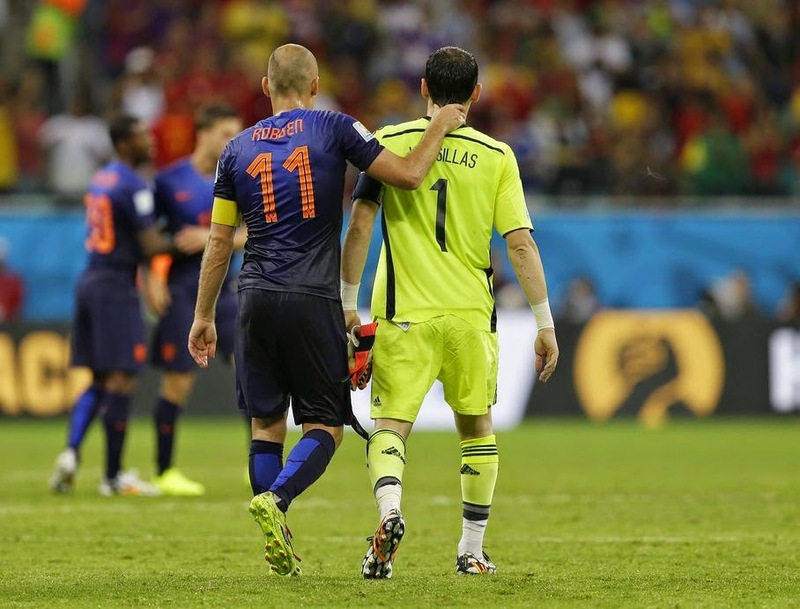 While the veteran Spanish players tired, the Dutch still looked fresh despite the humidity at the Arena Fonte Nova. 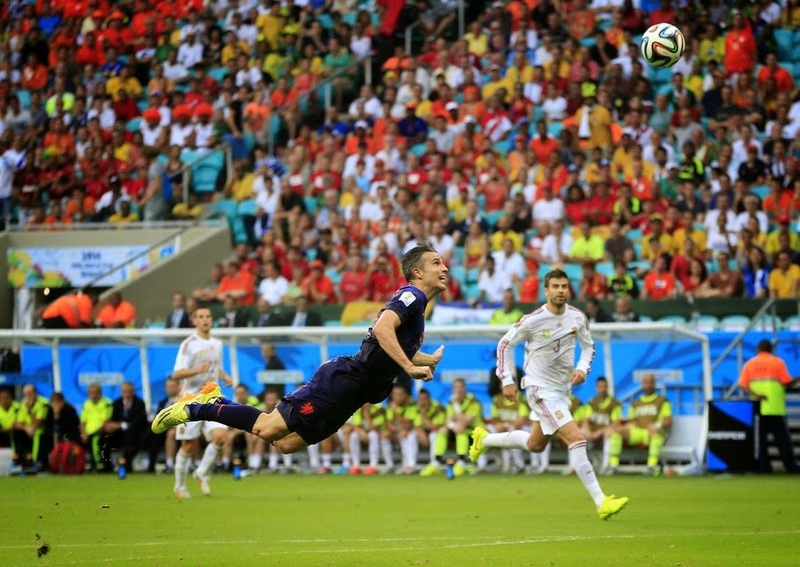 Van Persie's header is an early contender for goal of the tournament. As Blind's 40-yard pass sailed toward him, the striker glanced up and saw Casillas off his line and in no-man's-land. 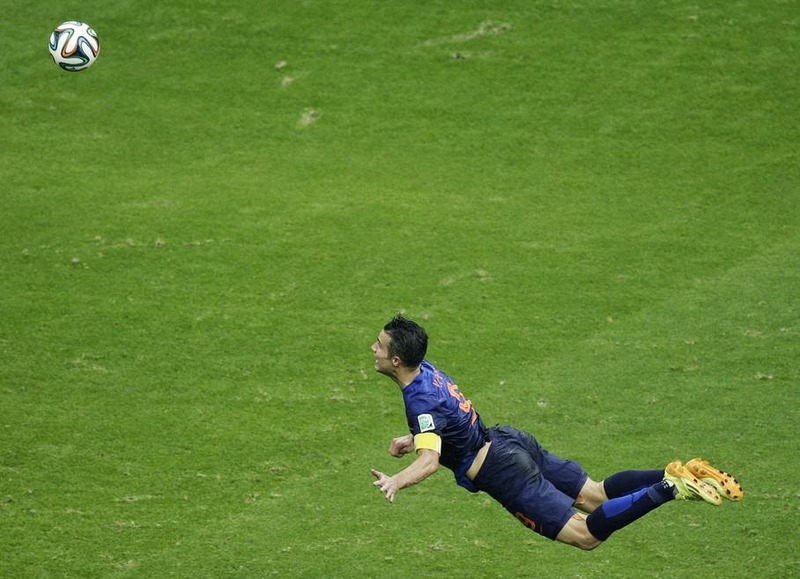 Van Persie dived full-length and sent a looping header over the stranded goalie and slid on his stomach on the wet grass before running to the sidelines with his fists clenched to exchange a high five with Van Gaal. 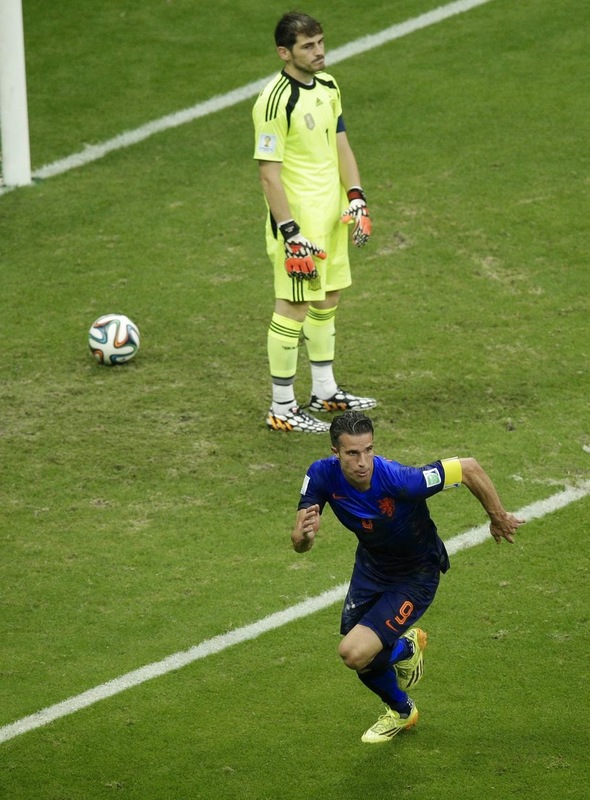 "Unbelievable," Van Persie said of the victory. "For the whole Netherlands, this is a dream come true." Robben had a masterful goal of his own, reaching high to stop a long Blind pass with his left leg, cutting back quickly with his right as defender Gerard Pique spun out of position, and scoring with his left as Sergio Ramos dove toward him. If Robben hadn't yet buried the memory of his crucial miss in the 2010 final - he helped Bayern win the Champions League in 2013 - his play Friday should do it. "This is just pure enjoyment," he said. "I'm top fit this season and this is a beautiful confirmation of that."